Are We Headed for an Acquisition Brain Drain? The top federal procurement officer on Thursday called for “not a tweak but a full rethink” of the government’s planning for its acquisition workforce, warning that as many as 40 percent of the 36,000 federal contracting officers could retire in the next five years. Joining with acting GSA Administrator Dan Tangherlini, Jordan stressed the value of dialog with industry on ways to improve the acquisition process while highlighting the Obama administration’s efforts to encourage efficiency, buy smarter, build agency relationships with government suppliers and develop a savvier acquisition workforce. “Buying smarter means buying less, but doing it in a more thoughtful and focused way,” said Jordan. He noted the administration was successful at reducing contracts by $20 billion in fiscal 2012 and moving interagency contracting off the Government Accountability Office’s list of high-risk programs. Jordan stressed his office’s governmentwide push for greater use of strategic sourcing, and said he would like to move beyond the “boutique cuts” in contracts for office supplies and printing to more “transformational” approaches that “leverage the buying power of biggest purchaser in the world.” He said agencies have far too little information on prices other agencies paid for tables and chairs and pens and pencils. 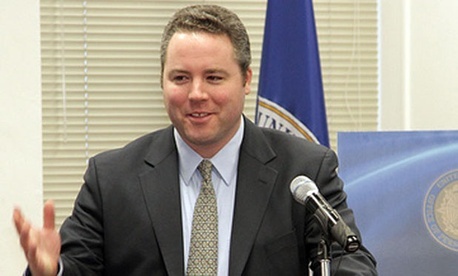 The Procurement Office is partnering with GSA and the Defense Department on new software to “bootstrap an initial solution,” he said. As a symbol of his office’s new push for dialog with industry and among agencies, Jordan touted his new Twitter account. Describing GSA’s restructuring to consolidate functions such as information technology, human resources and financial services, the acting GSA head praised his newly assembled management team that includes Michael Casella as chief financial officer, Thomas Sharpe as commissioner for the Federal Acquisition Service (who spoke at the same conference) and Dorothy Robyn as commissioner for the Public Buildings Service. Lesley Field, the deputy administrator for federal procurement policy, told a subsequent panel discussion that free dialog with industry “is one way to leapfrog toward innovation,” adding that her office’s quarterly front-line forum meetings with contractors has provided “great ideas for innovation and feedback” on OFPP memos. She encouraged all agencies to take advantage of such dialog.